"C.C." 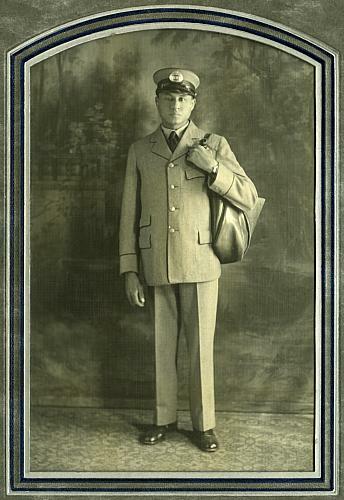 Murphy poses for a formal portrait wearing his postal uniform and carrying his mailbag over his left shoulder. A painted studio backdrop provices the background. Photograph, 7 X 5 in.